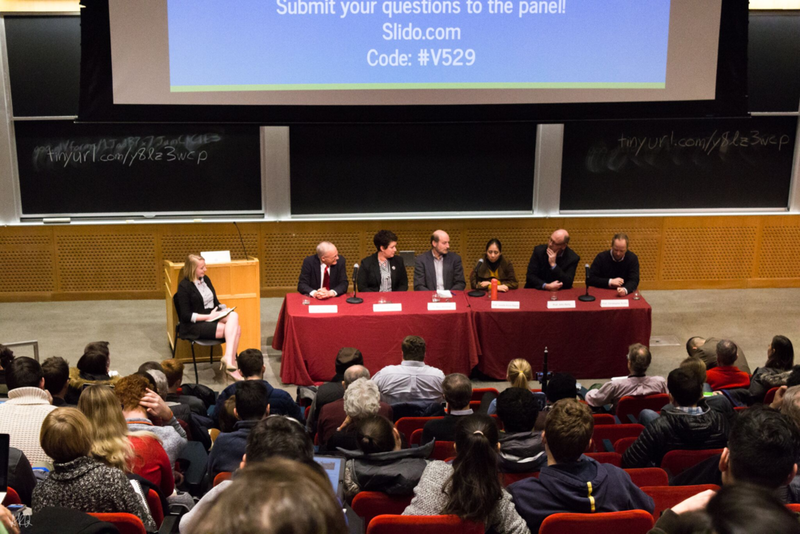 On 25 Jan 2018, the MIT Climate Action Team organized the Carbon Pricing Panel to discuss carbon pricing policy. The speech below was given to the panel audience, conveying the stance of MITCAT and discussing the policy scene of climate action and carbon pricing. In February of 2015, Senator James Inhofe of Oklahoma brought a large snowball to the Senate floor. He commented, “In case we have forgotten because we keep hearing that 2014 has been the warmest year on record... do you know what this is? It's a snowball just from outside here. So it's very, very cold out.” To tally the facts, since then, 2015, 2016, and 2017 have become the new three warmest years on record. Today at the federal level, 38% of senators and 33% of representatives deny the existence of human caused climate change. To the public, it is still unclear whether these individuals speak to represent their true beliefs or merely the monetary interests they serve. Here at MIT and across the world we trust the rigor and objectivity of the scientific community. Intensifying natural disasters and rising sea levels are threats we shouldn’t have to spend time clarifying. When 95% of the peer-reviewed scientific community concurs, we understand the time has come to move beyond merely scientific debate. The time has come for cohesive legislative and political work in climate action. We acknowledge that bipartisan support is necessary for a solution to climate change. We recognize there are reasonable people on both sides of the aisle. Just 20 years ago, climate legislation was not a partisan issue. In 1988, George H. W. Bush remarked, “Our land, water and soil ... we must remember to treat them not as a given but as a gift…These issues know no ideology, no political boundaries. It’s not a liberal or conservative thing we’re talking about.” In the same vein, former Congressman Bob Inglis, a prominent Republican environmentalist, asked of us advocates, “speak to conservatives in their own language”. Carbon pricing does exactly this. It internalizes the environmental cost of carbon by attaching a fee to carbon emissions, while maintaining a free market for innovation. At the center of our discussion today are two carbon pricing bills introduced into the Massachusetts State Legislature. Senate Bill 1821 by Senator Mike Barrett and House Bill 1726 by Chairwoman Benson both impose a $40 tax on each ton of CO2 equivalents. Applied to gasoline, this would translate to about 40 cents on the gallon. Senator Barrett’s bill is revenue-neutral, meaning 100% of tax revenues would be returned to state residents and businesses. Chairwoman Benson’s bill will return 80% of carbon tax revenue to households and employers, with the remaining 20% funding clean energy and infrastructure projects. These costs will largely be passed along the supply chain into goods and services. The price of products will slightly rise to reflect their carbon footprint. Nevertheless, both policies return money to constituents and will benefit much of the economy and most lower-income households. Most importantly, businesses and individuals will make carbon-conscious decisions as polluting becomes financially unworkable. Carbon pricing is a policy solution more straightforward than cap-and-trade, more results-driven than renewable portfolios, and more importantly, it is a policy that can unify the environmental movement. With support from Democrats, Republicans, Environmentalists, Investors, Businesses, students and legislators, we have the opportunity to vote, lobby, and advocate toward one cohesive goal. We are here today to discuss the challenges in passing and implementing effective climate policy. Carbon pricing would work in concert with existing policies like the Regional Greenhouse Gas Initiative, the renewable energy portfolio, and state emissions targets. Massachusetts has the ability to lead the New England region in energy policy as it has many times before. Successful regional policy would open doors to federal carbon pricing. Federal adoption of a carbon price would introduce tools like border adjustments, which can tariff imports and subsidize exports based on carbon content, bolstering our economy and compelling what some experts see as an global price on carbon. Despite backwards progress on the international stage this past year, the United States can take action to influence major emitters around the world and lead the international effort against climate change. Here at MIT we have always fueled technological progress and scientific discovery. Today we ask you to consider the policy and political action that will complete the toolkit against climate change.